Keep your workplace spotless, healthy and fresh thanks to our range of heavy-duty cleaning chemicals. Choose from product options designed to target specific rooms and surfaces such as washrooms, kitchens, toilets, windows, and floors and carpets. 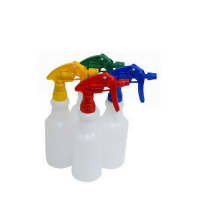 Oz Cleaning Supplies offers a comprehensive range of cleaning chemicals for industrial and commercial use. Choosing the correct cleaning chemicals and cleaning equipment on a specific surface is very important but the sheer variety of choices can make things confusing. No single cleaning regime is the same, and if you think about just a washroom, for example, the choices can become overwhelming. You need to choose bathroom chemicals, deodorisers, hand sanitisers, floor cleaners and much more. So whether you need multiple specialty cleaning products or just need a general solution, we can help you. Taking the time to carefully consider and follow manufacturer’s instructions are another way to choose the best chemicals for any job. These instructions will specify any clear benefits and limitations the products may have alongside usage instructions. There are chemicals available for every type of job imaginable, so it is important to consider what your specific cleaning goal is, and research accordingly. Cleaning chemicals can be categorised under four distinct categories, with their success directly tied to how clean surfaces become after use. Detergents are one of the most commonly used cleaning chemicals in professional environments. These vary from floor cleaners and hand soaps, through to dishwashing liquid and washing powders. Within food,, hospitality or healthcare industries, it is essential that all surfaces are germ free. Disinfectants won’t kill bacteria spores but they aid in removing germs. Sterilising agents are used for specific areas where where sterile surfaces and objects are a prerequisite, such as in an operating theatre or food processing facilities. Sanitisers are the ‘swiss army knife’ of the chemical world, containing ingredients that act together to disinfect and clean at the same time.